The next leadership principle I saw was in Exodus 32 was with Aaron and Moses. Here’s the quick summary. Moses had just left to go up to the mountain to meet with God and left Aaron, his brother in charge of all the Israelites. Remember Moses had taken his father in law, Jethro’s advice and put leaders under him to serve as judges for the people. What happens next, well somewhere between the phrase “When the cats away the mice will play” and the mental reminder of what my brother and I did when my parents left us at home alone sometimes could be a good description. The people got bored with their lives and decided to try to have a little fun, and come on, how much fun can you have in a desert anyway, apparently plenty. The people went to Aaron and asked him to build them gods that will go before them. Flash back to Exodus 20 when God said not to be doing this…. What happens next is perhaps even worse than what the Israelites asked. Aaron agreed and took the lead in building an image of gold that they could worship and call their god. 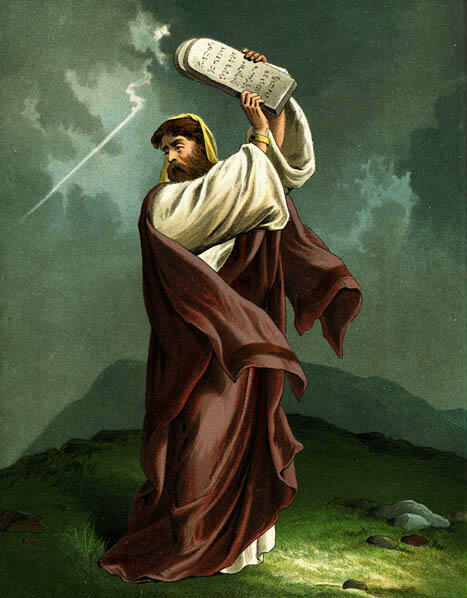 (v.2) There was not even a record of Aaron trying to stop the people or remind them that what God had told them in the past or was wrong to do. In fact he took charge and lead the way. This same idea is what I see a lot of young leaders, parents, or ministers falling into, the trap of appeasement. The young leader wants so badly to have some acknowledgement of leadership or to gain a better following from the people that they will compromise their personal convictions and even Biblical principles to gain acceptance from their followers. When Moses came down the mountain I love the conversation that Moses has with Aaron in verses 21-25 of chapter 32. It reminds me of those typical teen movies where the kids throw the party and mom and dad comes home early to find the party still going on in full power. Aaron has some explaining to do. I know that this was a hard pill for me to swallow as a young minister. I wanted the youth to like me so bad, I thought that agreeing with the youth on smaller issues would lead them to respect me more and follow my lead. What it actually did was to create an inconsistent leader in myself and cause them to think they could get everything they wanted from me, which made the problem worse over time. Over time I have learned to say “no” more and more and learned to stick with my convictions and listen to the Holy Spirit rather than the immature youth when it comes to decisions made in my youth ministry. There are two different ways to look at this principle of leadership. First, if you are a minister who tends to make decisions based on the temperature of the people around you, you should consider making most of your decisions based on principles. Those principles based on the word of God will best of course. Don’t be afraid to speak up and talk to other leaders in your field and draw great advice from them about their past experiences and mistakes. That is after all the entire premise of these principles that I am writing out. There are no points lost or weak leadership detector that goes off when you ask someone else for advice. I know as a parent I have to leave specific instructions for the babysitters to follow while my wife and I are out on our date. The things that I know and expect to come natural may not be so natural for the babysitter. After all these are my children, my most prized possession. I want them well taken care of. Years ago I had gone on vacation for a week with my family and had given the responsibility of teaching the med-week lesson to a relatively new couple in the church and in youth ministry. I had gotten to know them well and knew they were real conservative and I thought the lesson would be no problem for the husband who had served in a church before. When I came back form vacation I felt a little bit like Moses did, no there were no golden calf’s erected in the youth room, but I did come back to 2-3 students who were literally crying and upset because they were told, and I quote “that if they watched or read any of the Harry Potter books or movies that they were not Christians and not going to Heaven.” This was during the time when Harry Potter first came out and I didn’t realize that my 2 newest youth workers/parents had the strong opinions that they did towards Harry Potter. I spent a few sessions counseling the youth and showing them the scriptures in the Bible that talk about salvation and I had to meet with the adults and explain it to them as well. I should have known them in a more personal manner before I allowed them to teach for me. The couple had let their personal convictions or dislikes for Harry Potter even take a higher place than the word of God. This is why everything we do must be based on principles based in the word of God and not on our feelings or personal opinions. Those have to come second. To give you a more recent example, after coming to Westside Baptist over 5 years from now I was blessed to have a pastor who was very good at leadership development. Over the course of the first few years he soon discovered one of my weaknesses in the area on finances. I have always been weak in that area and have struggled with budgets. The pastor began to help me in this area by giving me 2 things; accountability and specific guidelines to work with in youth ministry. At first I didn’t like the idea having to spend more time on the things I hated and was not good at, but over time I learned though the questions asked and by following the guidelines he set for me to be a better steward of my budget and to give it the time needed to answer the details of the “small things.” I still have a lot to work on and will always, but I am so thankful that he gave me those guidelines and held me accountable to himself. This entry was posted on Tuesday, February 16th, 2010 at 11:14 am and is filed under Leadership. You can follow any responses to this entry through the RSS 2.0 feed. You can leave a response, or trackback from your own site.